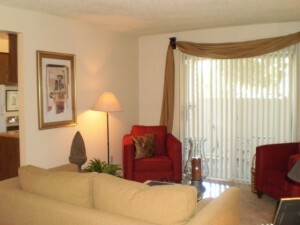 Las Vegas rentals, Sahara Palms Apartments, are located in a quiet community in the heart of Las Vegas. You will find 1, 2, and 3 bedroom apartments at an affordable price. Located less than 1 mile from these Las Vegas rentals you will find shopping, schools, and entertainments. There is even a famous In-N-Out burger. Freeway access and public transportation are close by for your convenience. Apartment features you are sure to like are air conditioning, fireplace, garbage disposal,and extra storage.